Sephora Beauty Insiders check your emails! Sephora sent out their hot holiday loyalty cards out earlier today! Depending on your membership level you can get $25, $20 or $15 off your purchase of $50 or more. Offer based on tier as of November 14, 2016. 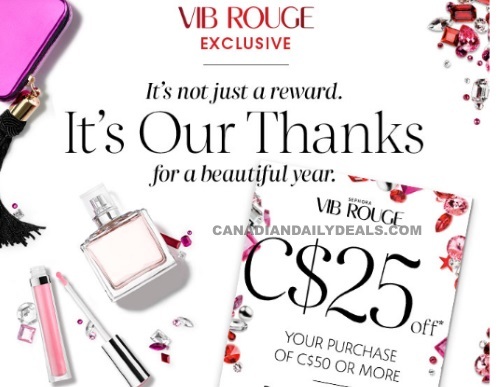 Beauty Insiders get $15 off $50, VIBs get $20 off $50 and VIB Rouge get $25 off $50. This is a unique code intended just for you to use, in-store or online, December 2-14, 2016. Hot tip - I was able to use my $25 off $50 in-store, and then went online and used it as well!